Hello to all our IIC and IOCC family of racers. Through the years the IIC and now the IOCC has grown to be a special kind of race that racers from around the World want to be part of. A big part of this is because it is held in the always fun and exciting city of Las Vegas. Over the past 5 years we have watched Las Vegas grow in popularity for conventions and events to record numbers that unfortunately has made it extremely difficult for small events like ours to continue. We look at the IIC and IOCC as big events in our industry but in the scope of Las Vegas conventions space, we are extremely small and not a valuable commodity for them to give us so much space for our events during the prime convention months. 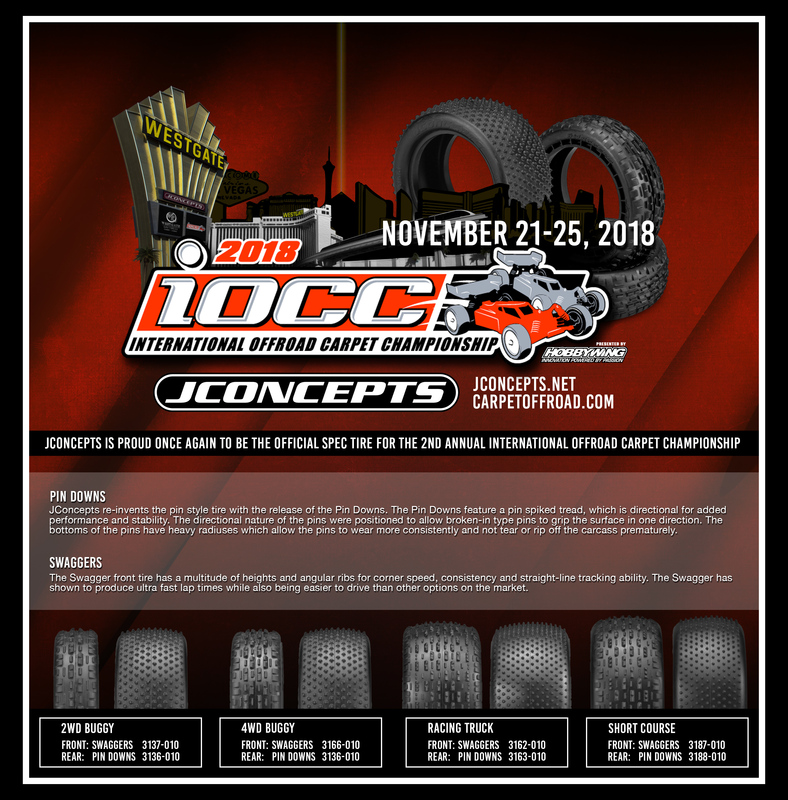 So for 2019, we will not be able to host the IIC & IOCC at a hotel in Las Vegas but as they say the show must go on, so I am happy to announce that in 2019 we will be holding the IIC & IOCC at 702 Raceway in Las Vegas. 702 Raceway is a beautiful facility located about 15 min north of downtown Las Vegas. 702 has already built up the reputation of hosting great events and will be the perfect host for us this year. 702 has the exact track size as we have used in the hotel over the past 3 years plus a full stocked hobby shop and everything we need to host the IIC & IOCC events this year as we search for a new hotel to host our events in 2020 and beyond. Dates for the IIC will be October 3-6th and the IOCC will be October 10-13. Now that we are hosting this years event at 702, we will not have the same amount of unlimited pit space as we had in the hotel, so we will be limiting the number of racers that we can take at the event. 702 has 120 pit spaces so we will accept 120 racers into each event. Now a racer can race as many classes as they wish, but we will limit the amount of people to 120. Expecting that many racers will run 2 classes, this should give us good number of entries into the event to make for a smooth show with plenty of track time. Entries will go live on June 4th and with the limited number of space available, if you would like to join us, I suggest that you do not wait long to make your entry. THIS WILL BE OPEN TIRE FROM ANY MANUFACTUER. Thank you very much and I hope to see many of our friends at 702 Raceway in October.